Coupining with Alicia Week 4 How Do I Do This? Welcome back! This week we are going to dive into the third question. How do I use them? 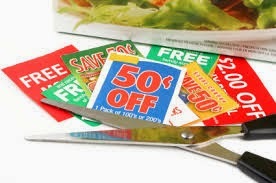 It is important to understand to make coupons work for you, not you working for coupons. I am not going to go over matchups and coupon lingo. There are so many resources out there about these topics that I would rather spend my time with you telling about the ways I used couponing to benefit my family. As I started my own journey in October 2012, I began buying loads of stuff. Most were at rock bottom prices and useful items, however, when it came to whether or not my family was actually using them, I had to answer no. I needed to learn to curb my hunger for savings. Any saving is good savings, unless you are getting items that are expiring and sitting on your shelves. That is both a waste and a expense. Even if that expense is small. I felt that the best way to use my coupons was to buy things that my family realistically needed, wanted, and used. I began to study and list out those items. These are the items that I want in my stockpile. I also decided to keep notes of the cost of those items at regular price and at usual sale price. It is important with couponing to make sure you are paying less then you would normally for those items. This is what I like about my plan for grocery savings. It is very easy to follow coupon specific blogs, see all the deals, and go nuts, but that is harder on your budget then paying full retail every time you need it. When I started my list, I wanted to save on several categories. I chose paper goods, snacks, household goods, meal essentials or staples, and lunches. I try to keep several months worth in these items so that if we have a slimmer month financially, I have the basic necessities. I also have frozen goods and meat, but usually I find those items on sale without coupons. I feel this is why I have been successful with coupons. I have used the ones that most help my family. I have a stockpile that I love. I love it because at those times I didn't have the room in the budget, the stockpile was there for me. I believe that this falls under the stewardship that God calls us to have. We must know our needs and use the funds he given us to make our families successful! I hope you are finding this useful and encouraging.